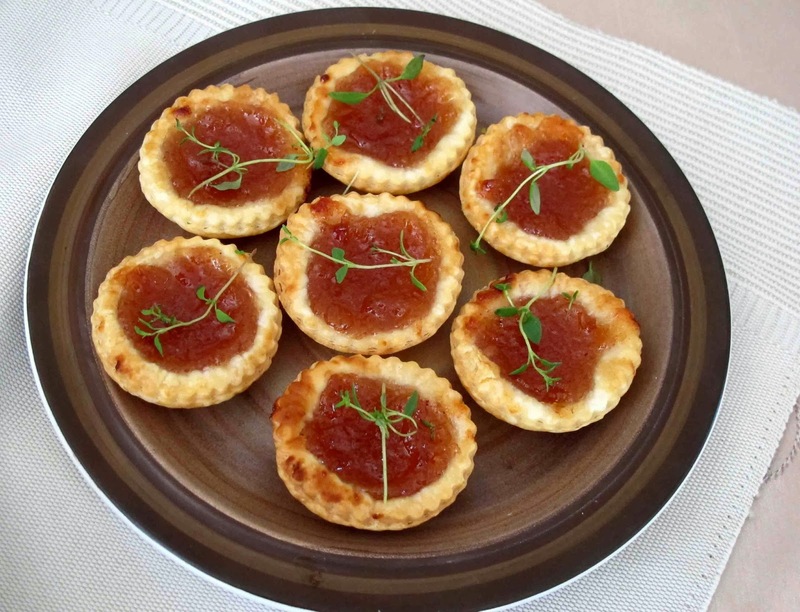 These little quince preserve tarts are delicious to pass round at the end of a meal, on their own or alongside a small cheeseboard. To make them I simply used a fluted cutter to create flaky pastry circles which formed the base for the tiny tarts. I pressed them gently into the tin and filled each tart with a teaspoonful of Anathoth Quince Preserve. Then I baked the tarts in the oven for about 12 minutes at 190 degrees C until the pastry was a golden brown. Before serving I garnished each with a small sprig of thyme. But beware:you do need to wait until they cool down a little as otherwise the hot jam can burn your mouth. Make plenty of these little mouthfuls as they are very moorish.